Lemon Harangue Pie: The upside to air pollution? The government can't spy on you. The upside to air pollution? The government can't spy on you. Who knew smog had a silver lining? 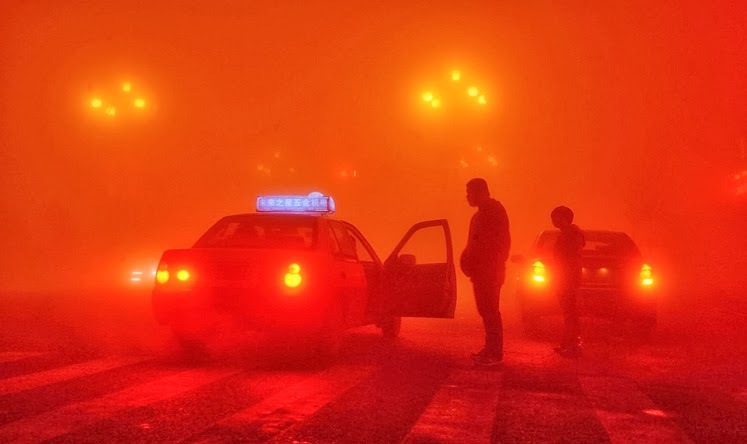 The South China Morning Post reports that the thick, blinding smog shrouding Beijing is rendering surveillance cameras virtually useless, and scientists are being called in to shed some light on the subject. One possible solution being tossed around is to use radar to help keep "sensitive areas" more secure. Meanwhile, the Chinese people may enjoy a somewhat brief respite from Big Brother's prying eye.